If you are looking for a healthy cookbook this is it! 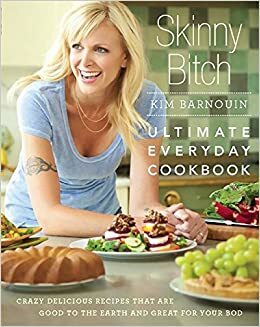 So far I love every recipe I have tried out of it. It is vegan but don’t let that scare you, the food is GOOD!!!! It is totally for the masses not just for Vegans. It’s been another great workout week for me! I took last Sunday off then did a workout everyday Monday-Thursday. Friday we went camping so I got a little bit of a workout setting up camp which was about 1/3 of a mile from our car and we hiked it a few times on trails. Saturday was great and we did a little hiking then the day took a terrible turn when my dog ran away (more to come in another post) and we spent hours looking for her. Thankfully it turned out ok in the end. Sunday- we Did a little walking around and broke down camp and the evening was spent relaxing after an extremely emotional and exhausting ordeal.